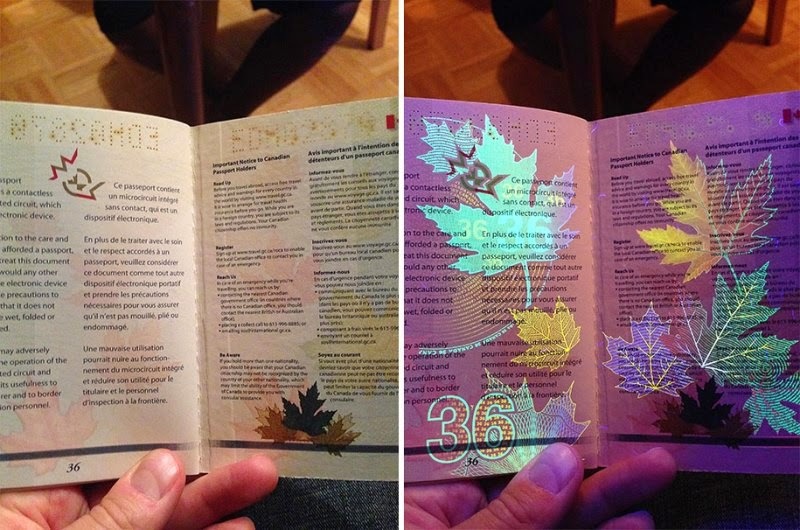 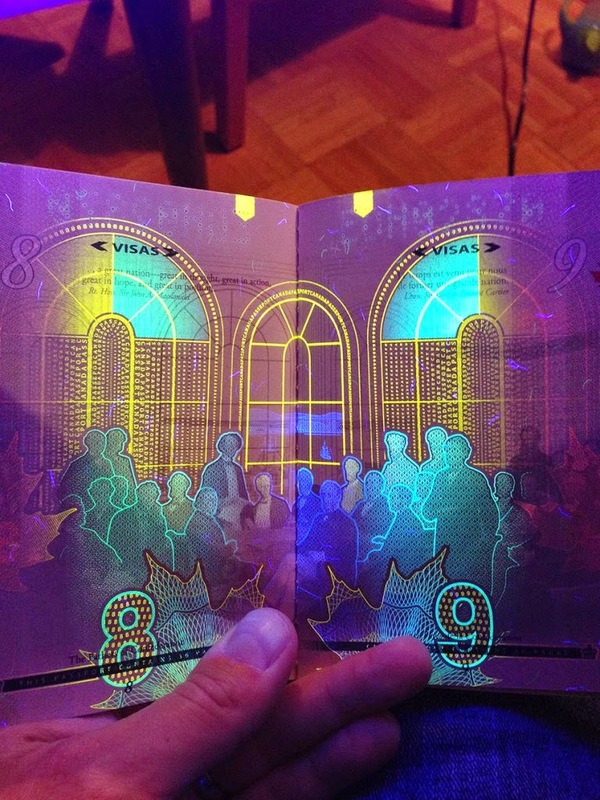 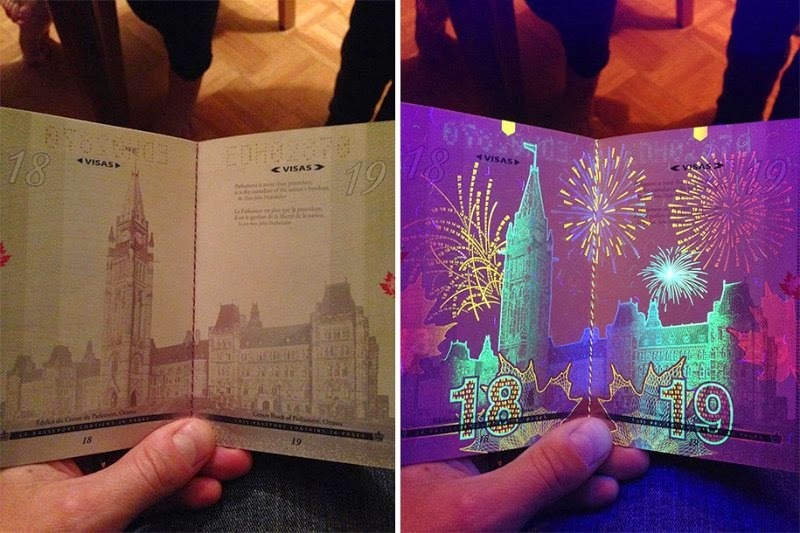 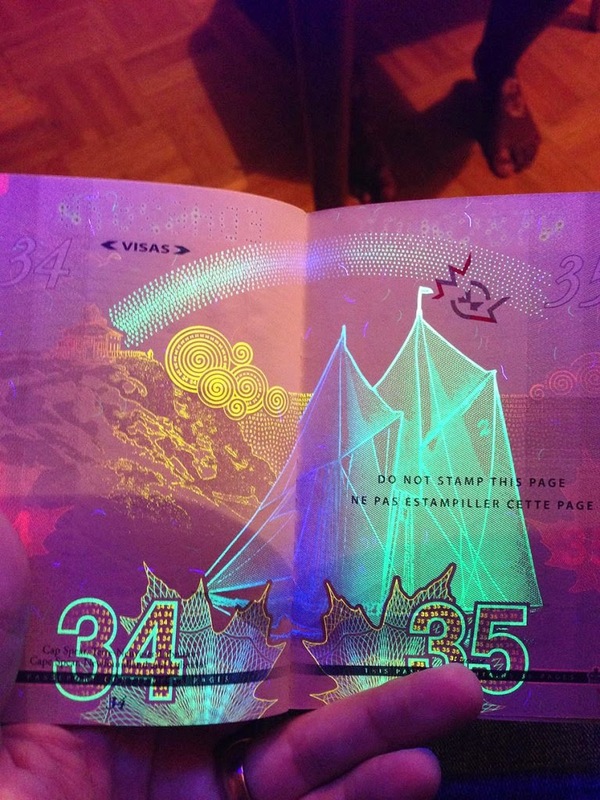 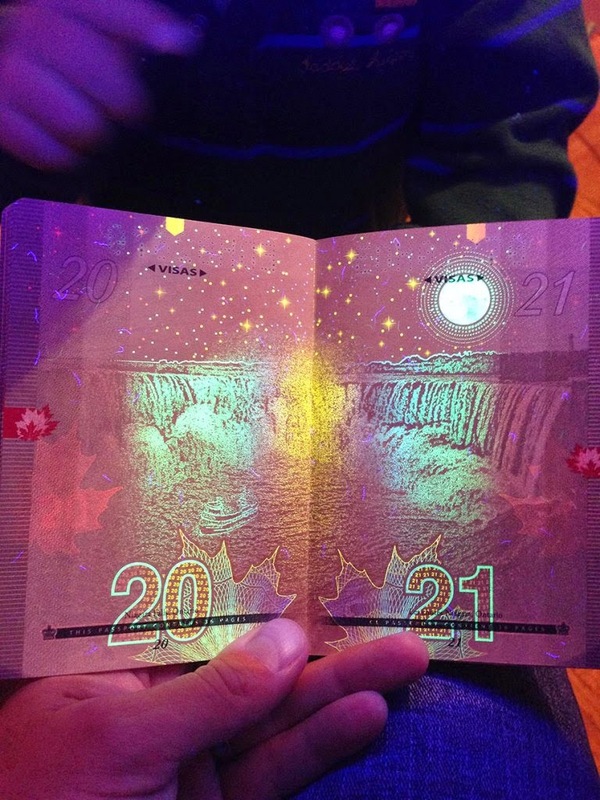 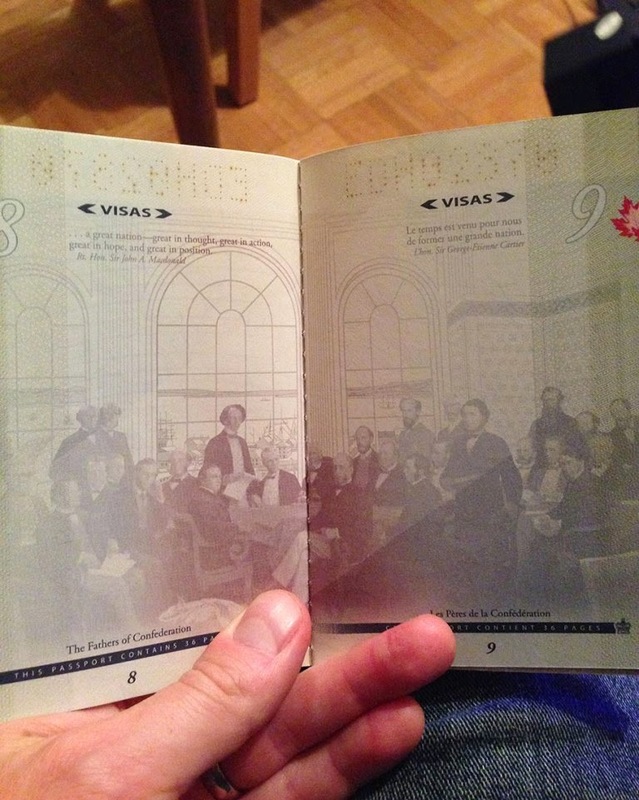 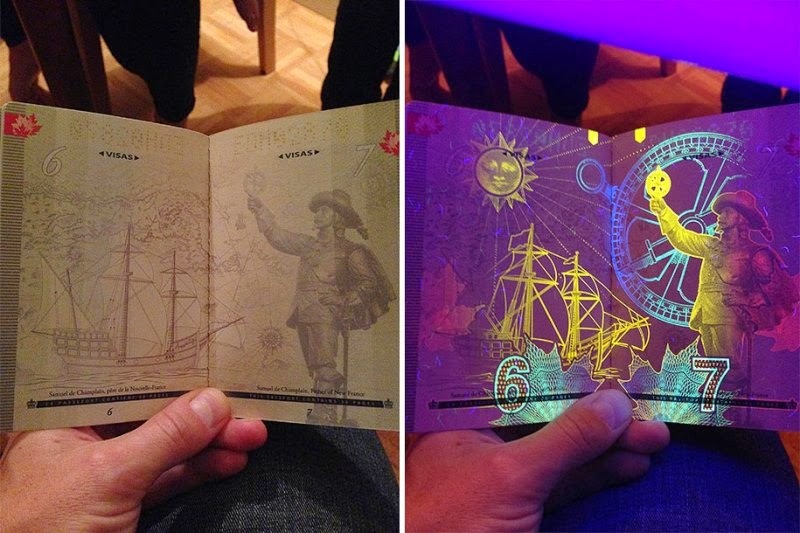 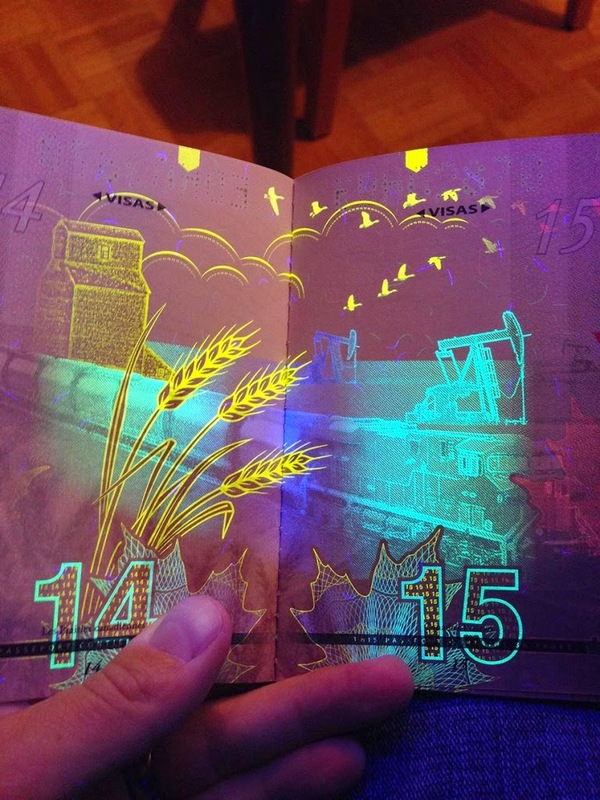 The latest Canadian passport design, which was released in 2013, features amazing images that glow under UV light. 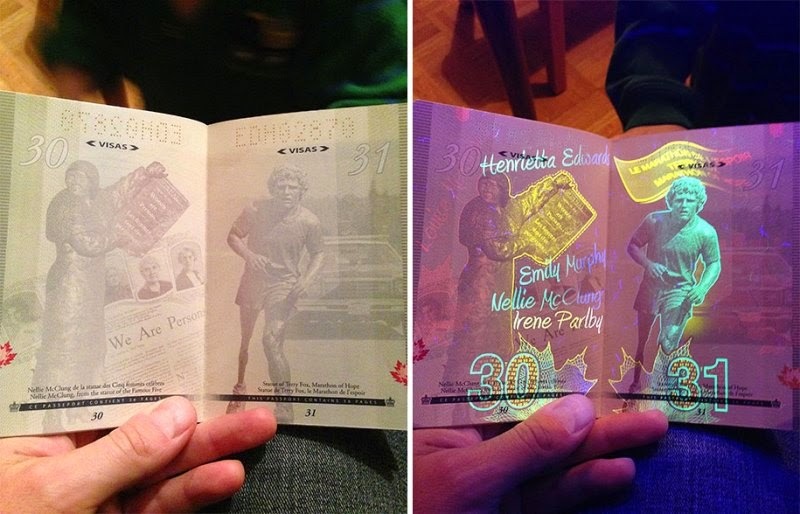 The images are only vaguely visible in a daylight, but once you turn on a UV light, the beautiful sparkling images on the passport glow with energy. 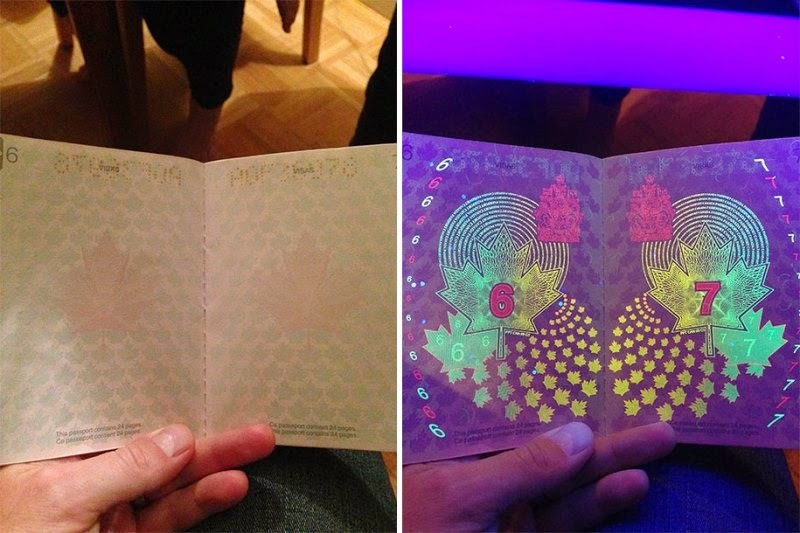 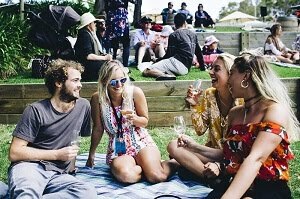 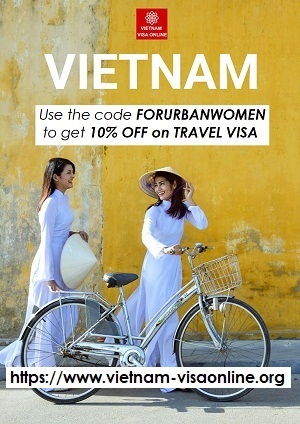 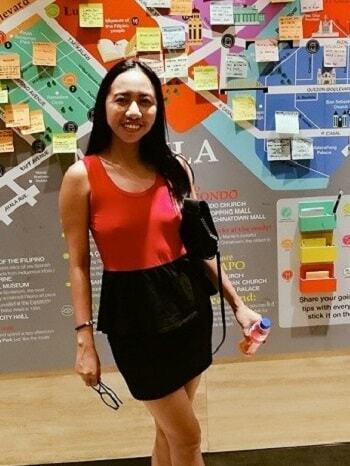 Along with a biometric chip, these fascinating glowing images are security measures that help make it practically impossible to duplicate and falsify the passport.